We already learned that soil is a weather product of rock that may or may not be transported to another location. We have also learned about residual soil and transported soil. As water is included in this topic, definitely it is transported soil. Water erodes hills through which it run and deposits erosion products on the valleys. The size of particles carried by flowing water depends on velocity of current. Very swift water often can carry large size particles like boulders and gravel is very common. When velocity of water decreases water cannot carry coarse particles and get deposited. The remaining relatively finer particles are transported further to downstream and they also get deposited when velocity is decreased significantly. 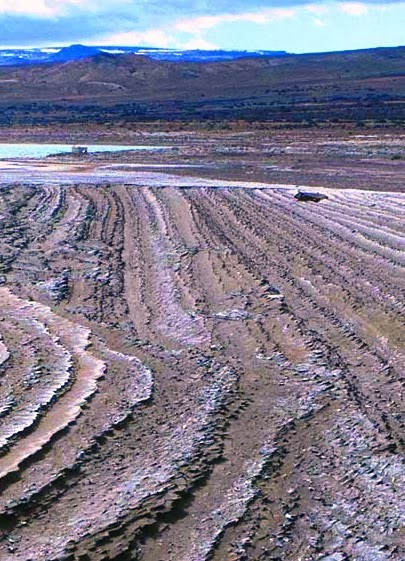 The deposition that made in a lake is known Lacustrine deposits. When receiving bodies are sea or ocean the deposition is called Marine deposits. But all soils that are transported by and subsequently deposited from water are called Alluvial deposits.